Niagara Falls, NY - Fr. 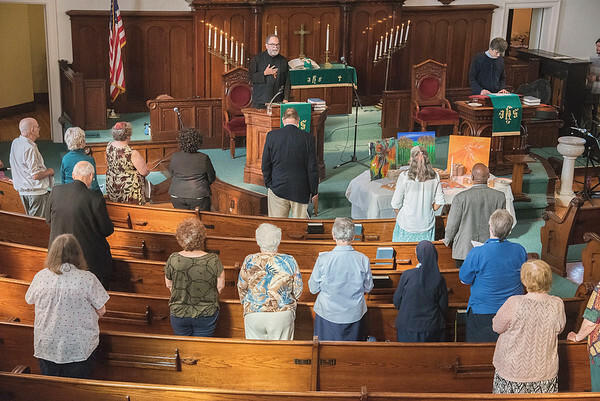 Raphael Barberg of St. George Orthodox Church, sings a chant based on Psalm 1, during the Interfaith Community Prayer Service at the First Congregational United Church of Christ in Niagara Falls. The service is in recognition of National Day of Prayer for Mental Illness Recovery & Understanding.